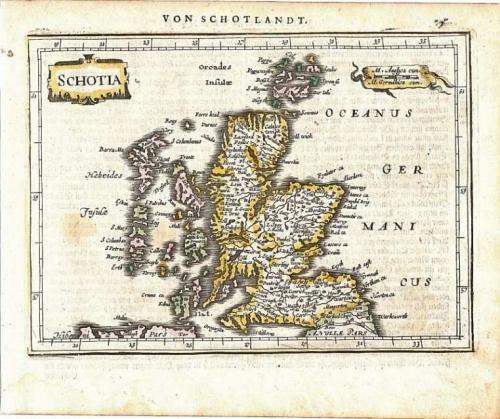 Title: "Schotia." by Gerard Mercator and Johann Janssonius. An intricate small map of Scotland. German text to headline and verso, in very good condition.